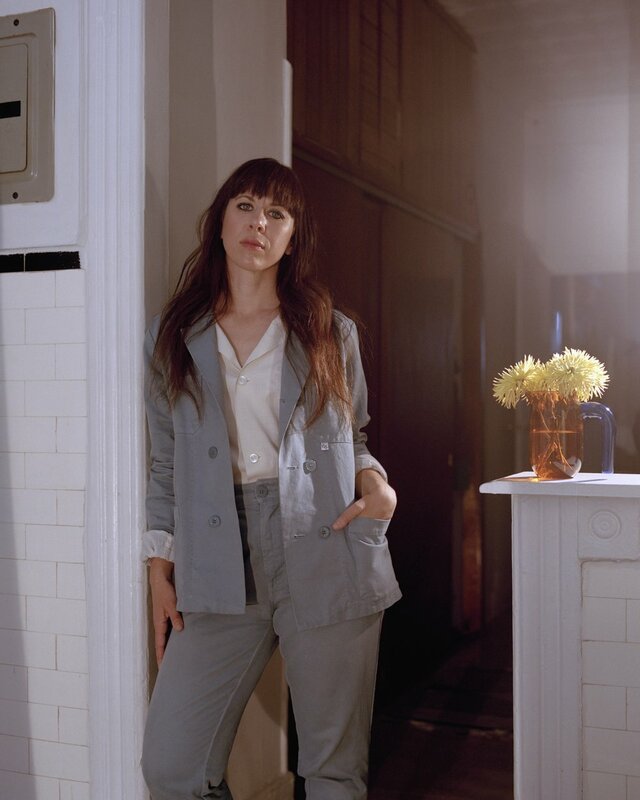 Don’t call her emerging; composer Missy Mazzoli has risen and she’s bringing others with her. Recently named one of the first women to be commissioned by the Metropolitan Opera, Missy Mazzoli wields her creative work and influence with a purpose, through the powerful leading women of her three acclaimed operas (Song from the Uproar, Breaking the Waves, Proving Up), her new position as the Chicago Symphony Orchestra’s Mead Composer-in-Residence, her mentorship program for aspiring young female composers (Luna Composition Lab), her all-woman chamber-band (Victoire), and her incisive and clear-eyed commentary (see recent FBomb and New York Times features). In June, at age 37, with three successful operas in motion, Mazzoli began her two-year term as Chicago Symphony Orchestra’s Mead Composer-in-Residence and, in that role, has curated four concerts for the Orchestra’s MusicNOW series this season. For these programs she has taken her influential position seriously, with three areas of focus: bringing to the fore national and international composers who are new to the CSO, amplifying the work of women composers, and cultivating connections with composers from the Chicago area. She’ll have two premieres of her own on the series, both CSO commissions: a bass concerto arrangement of her work, Dark with Excessive Bright (Apr. 8), and a piano arrangement of two Meredith Monk works, Passage/What Does It Mean?, performed by Mazzoli herself (May 20). Woolfe: “What did the success of Breaking the Waves mean for you? And prove herself she did. In the world of staged works, Mazzoli has certainly established her place. Her Metropolitan Opera commission, which is to be based on George Saunder’s 2017 bestselling novel, Lincoln in the Bardo, was announced shortly after this interview, in September 2018. Her third opera, Proving Up, centered around a post-Civil War family’s pursuit of the American Dream during Nebraska’s land rush, drew a sold out New York premiere run at Miller Theatre (Sep. 26, 28), following critical success with both Opera Omaha and Washington National Opera. Mazzoli's second opera, Breaking the Waves, also written with Vavrek, premiered to wild acclaim with Opera Philadelphia in late 2016 and on the 2017 PROTOTYPE: Opera/Theatre/Now Festival. Based on Lars von Trier’s dark and challenging eponymous film, the piece brims with grit and psychological depth. Young women who aspire to a career in composition are encouraged to apply for a fellowship with Luna Composition Lab, Mazzoli’s mentoring program for young female composers (in collaboration with founding partner Ellen Reid and Face the Music at the Kaufman Center). Scores and samples are due Oct. 22 with acceptances announced Oct. 29. The program runs through the fall and winter with one-on-one mentorship, culminating in a recorded performance as part of Face the Music at the Kaufman Center in Spring 2019. Mazzoli’s opera, orchestral, and chamber music can be heard around the U.S. and beyond all season. Her first opera, Song from the Uproar: The Lives and Deaths of Isabelle Eberhardt, travels to Rochester, NY (Sep. 2018) and Genoa, Italy (Nov. 2018). Proving Up is performed by students at Oberlin College (Feb. 4, 5). Minnesota Orchestra performs These World in Us, a poetic meditation on life’s accumulation of joy and grief, which Mazzoli dedicated to her Vietnam Veteran father (Mar. 14), several orchestras perform Sinfonia, and the original version of Dark with Excessive Bright receives its European premiere with the Aurora Orchestra in London, UK (Apr. 5). High-resolution photos and other materials can be downloaded from the Calliope PR press room. Mazzoli's music can be heard on New Amsterdam Records. Mazzoli's full performance calendar and list of works can be viewed at G. Schirmer. ©2018 Calliope, LLC. ALL RIGHTS RESERVED.